Are you struggling to get great results in your washing machine? If you’ve noticed that your freshly washed laundry has a musty smell, or you just can’t seem to get rid of stubborn stains, then it’s a sure sign that it’s time to clean your washing machine. 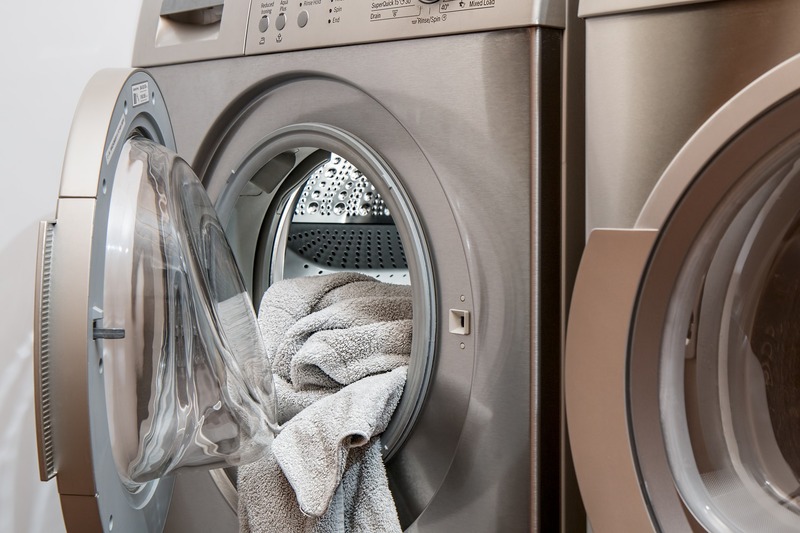 When your appliance is dirty, washing your laundry can end up doing more harm than good. Dirt, detergent, mould, and hard-water deposits build up inside your machine, and over time these can develop a musty odour, giving your clothes that damp, mouldy smell. If left untreated for a long time, they can even affect the efficiency of your machine. So, it’s essential to keep dirt and muck in check by giving your washing machine a little TLC from time to time. Vinegar and baking soda offer one of the most effective ways to clean your washing machine. Simply add 1–2 teaspoons of water to 3 tablespoons of bicarbonate of soda to form a thick paste, and add this to the detergent drawer. Next, tip 250ml of white vinegar into the drum, then run your washing machine on a 60°C cycle. The two ingredients will work together to break down any grime and residue, as well as neutralising any musty odours in your machine. White vinegar may be an amazingly versatile cleaning product, but it does have a sharp, distinctive scent. So, unless you want your laundry to smell like a chip shop, you’ll need to run another long, hot cycle to completely get rid of any remaining vinegar before you put any laundry into your machine. Soda crystals have long been a favourite cleaning additive for their ability to dissolve grease, shift stains, and wash away unpleasant smells. To use soda crystals to clean your washing machine, simply add 500g of pure soda crystals to the drum, and then run your machine on the longest, hottest cycle. This will rinse away any stains and smells, leaving you with a clean, fresh machine. If you live in an area with very hard water, then it may help to add 250ml of white vinegar to the drum before washing, as the two ingredients will work together to break down any limescale build-up. If you think your machine needs a deep, intensive clean, then bleach could be the solution for you. Bleach will kill off any lingering bacteria, so it’s great if you want to ensure that your washing machine is completely sanitised and free of any harmful germs. To clean your washing machine with bleach, simply add 60ml of neat bleach to your detergent drawer then run your machine on a hot cycle, with an extra rinse cycle to make sure all the bleach is flushed out. If you can smell any trace of the bleach afterwards, run another empty cycle to be on the safe side. Remember, bleach is highly reactive, so you should never use it with any other cleaning products, as it could cause an adverse reaction that could damage your machine. Bleach and hot water can also produce a lot of foam, so don’t use more than the dose we’ve recommended. While the methods we’ve listed above will clean your washing machine’s internal workings and neutralise any nasty odours, you’ll need to pay special attention to the detergent drawer, filter, drum, and seal. All of these can be particularly susceptible to grime, soap scum, and mould, so they will all need a bit of extra TLC to get them sparkling clean. In this section, we’ll cover how you can clean each part of your washing machine. Laundry powders, fabric softeners, and specialist detergents can leave a crusty residue inside the detergent drawer, and all of those little nooks and crannies can be vulnerable to black mould, too. The simplest and most effective way to clean it is to remove the entire drawer (check the manufacturer’s instructions if you’re not sure how to do this) and wash it by hand. Soak the drawer in a bowl of hop soapy water, and then wipe it clean with a damp cloth. If any dried-on detergent residue or mould is tricky to remove, then spray on some multipurpose household cleaner and give it a scrub with an old toothbrush. Then, give your drawer a final rinse, dry it off, and place it back into the machine. Most washing machines will have a filter, usually hidden behind a panel on the front of the appliance. The filter is designed to catch lint, hair, and even small items that might have made it into the wash by accident, like loose change or hairpins. If the filter becomes clogged up, it can stop the machine from cleaning effectively, so you should check and empty the filter at least once every three months. Exactly how you should access and remove the filter will very between different manufacturers, so check the care and maintenance guide carefully before you do this. Once you have removed the filter, empty any lint or other small items and give the whole thing a wipe down with a damp cloth before putting it back into place. Cleaning the drum is fairly straightforward: simply wipe away any visible marks with a cloth. If there’s an unpleasant aroma inside the drum but you can’t see any mould or dirt, then this is likely caused by nasty bacterial growths that are invisible to the naked eye. You certainly don’t want this to transfer onto your clothes, so it’s important to sanitise the drum at least once a month: use one of our suggested cleaning methods to remove any blockages, and then run your machine on the hottest cycle (preferably 90°C) to kill off any germs. The rubber seal between the drum and the door — sometimes called the ‘gasket’ — can be one of the trickiest parts of the machine to clean. This area can be especially vulnerable to build-ups of lint and soap scum, but by far the biggest problem tends to be black mould. These seals are usually deeply ridged, with lots of moisture-trapping nooks and crannies, providing the perfect breeding ground for mildew and mould. To clean the seal, take a damp cloth or sponge and some household cleaning spray, and use them to wipe all around the rim, being careful to get inside any grooves or folds. If your seal is really mouldy, then spritz on some specialist mildew spray and leave it to work for five minutes before wiping away with a clean damp cloth. After cleaning, you’ll need to run a short cycle to make sure all of the cleaning fluid is completely removed, as many cleansers contain bleaching agents which could stain your laundry if left in the drum. Once you’ve cleaned your washing machine, there are a few simple things you can do to stop it from getting grimy again, and keep it working as efficiently as possible. 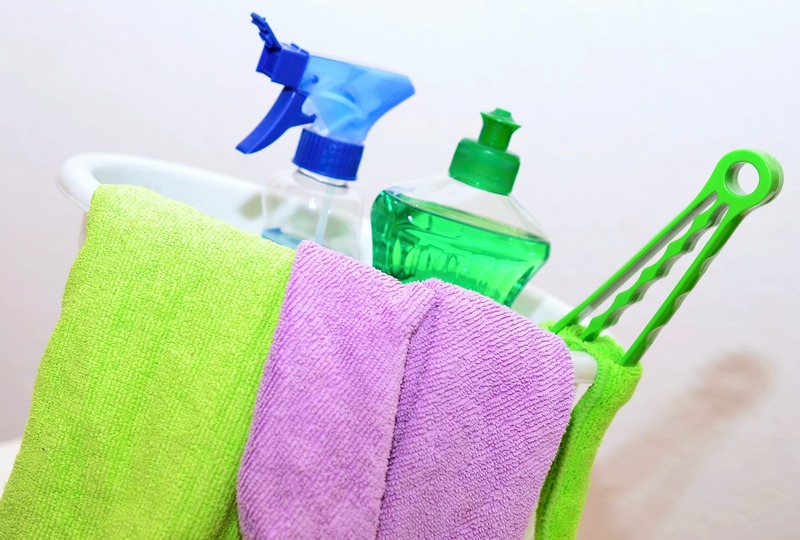 While all of those specialist detergents and fabric softeners might be great for your clothes, it’s thought that these extra products can contribute to build-up inside your machine. So, try to use specialist products only when you really need some extra cleaning power to deal with tough stains or heavy soiling. Most of our laundry, including everything from our clothing to our bedsheets, is washed at 30–40°C. But, while washing at 30°C might be better for the environment, it won’t get rid of any nasty bacteria that could be lurking inside your machine. A long hot cycle once a week — at least ‎60°C, and preferably 90°C — should kill off any bacteria and sanitise your machine. In between washes, you should leave the door of your machine open slightly to allow moisture to escape. This will help to air the drum out, and prevent mould from forming inside the appliance and on the seal. It will also help to wipe the seal dry after washing, as this will stop mould from forming in the folds of the rim. Our water supply contains small amounts of calcium and magnesium, and these minerals combine to form limescale. Large build-ups of limescale inside your washing machine can make your appliance less effective, and can even make your machine less energy-efficient and more expensive to run. Left untreated, they could even cause your machine to break down. That’s why it’s so important to de-scale your machine with a quality descaler at least once every 3–6 months. Limescale will build up faster if you live in an area that’s served by a hard water supply, so you may need to de-scale your machine more frequently. Leaving your clean washing to sit in the drum for hours after the wash cycle has finished will make both your laundry and your machine smell musty and damp. So, always remove your wet laundry as soon as possible as washing. If you’ll be out of the house, use the delay function, so that the end of the wash cycle coincidences with when you’ll return home. If you’re overwhelmed by piles of grubby laundry, then why not let someone else deal with it? Our award-winning dry cleaning and laundry service makes wash day a breeze. We’ll collect your laundry, clean and iron it using professional methods and equipment, and return it to your door at a time that suits you. We’ll even fold or hang it for you, so it’s ready to go straight in the wardrobe or drawer. Your washing machine needs to be cleaned thoroughly every couple of months, and you should be running a hot maintenance cycle at least once every two weeks. This will leave your machine out of action for a few hours, so download our app and let us handle the hard work while you scrub up. To learn more about how our service works, take a look at our FAQ section. Now that you know how to clean your washing machine, you’re ready to get your appliance looking — and smelling — as good as new. For more advice on all things laundry, check out our guides section. While the cleaning methods we’ve shared with you here can be very effective, results may vary between appliances, so you should always check the manufacturer’s instructions for your machine carefully before you begin. Please note that all cleaning methods are undertaken at your own risk, and Laundrapp is not liable for any damage that may occur while cleaning your machine.